On Arundhati Roy’s second novel. This was a dream that was never dreamed. Arundhati Roy wrote The God of Small Things 20 years ago. The Delhi Walla is a faithful acolyte of that novel as well as of its iconic cover. Now, 20 years later, Ms Roy is set to publish her second novel. The Ministry of Utmost Happiness will enter the world in June 2017. The author photo of Ms Roy in the novel is by me. The cover photograph of the novel is also by me. The cover has been designed by the same man who designed the classic cover of The God of Small Things–David Eldridge of London-based Two Associates, a book design consultancy. Penguin Random House India, Ms Roy’s Indian publishers, asked me about the novel’s cover. You may read that on their website here, or just read below. 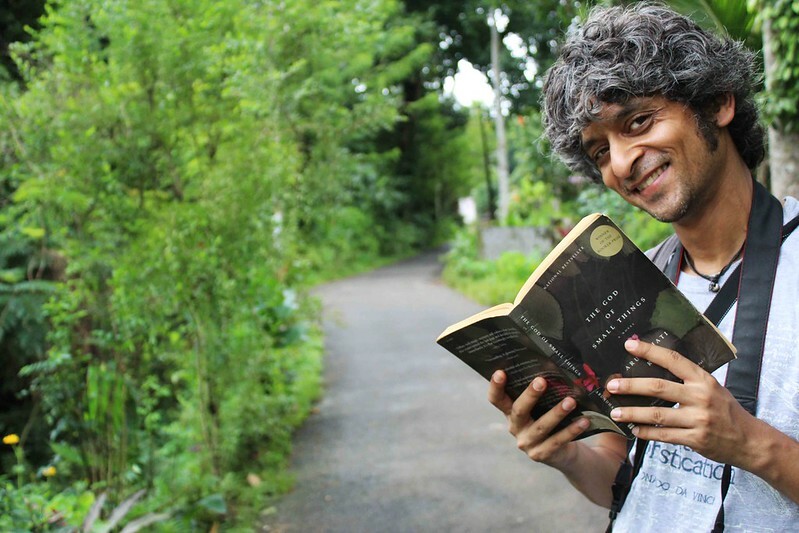 Mayank Austen Soofi gets candid about behind the scenes of the cover and author picture shoot for Arundhati Roy’s much awaited novel – The Ministry of Utmost Happiness. 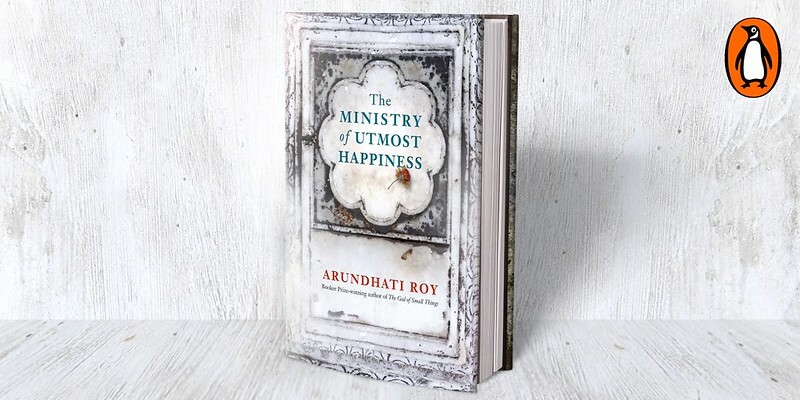 Tell us about the photo used on the cover of Arundhati Roy’s new novel The Ministry of Utmost Happiness. I’m a devotee of The God of Small Things. I’m also very attached to its cover, a picture of the surface of water with flowers and leaves and the sky reflected in it. I love it because you can keep looking at it. It is so particular and yet elusive, and you can never get enough. And that is exactly how the novel is. I think and I hope that this cover for The Ministry of Utmost Happiness will stir the same feelings in the reader. It’s a photograph of stone, which is the complete opposite of water. Yet I think the cover has that same quality of being particular as well as elusive. How did you come about taking these photos? She asked me to. She was very clear about what she wanted. I was nervous, but I tried to follow the brief as closely as I could. Why did she choose you to take these photos? That’s a question you must ask her. All I can say is that I cannot believe this is happening to me. That my photograph will be on the cover of the second novel of the writer who wrote The God of Small Things! What is she smiling about in that author photo? She was thinking some very private thought, I think. Your blog is called ‘The Delhi Walla: Your gateway to alternate Delhi, the city of Hazrat Nizamuddin Auliya and Arundhati Roy’. When did you start it and why is it called that? I started my blog ten years ago, many years before I actually met Arundhati Roy. Delhi is where I live and work. There are two people here, who have shaped me and my way of thinking. One is her, a writer who seems to speak directly to me. The other one is the Sufi Saint Hazrat Nizammudin Auliya. The Ministry of Utmost Happiness, Arundhati Roy’s first novel in twenty years, is set to release in June 2017. City Notice – The Delhi Walla’s Photo of Arundhati Roy Appears on Her New Book of Essays! Great news! Congrats yet once again. I can hardly wait to read the novel and to admire its wrapper. Collector’s items both. Bravo, Mayank! The cover looks great. I wish you all the best.